If you’ve been living with missing teeth for any period of time, then you’re ready to make some positive changes in the new year. A local dentist says the best way to do it is with dental implants in West Palm Beach. Read on to learn how the process can provide you with a dazzling smile that will leave you eager to pose for pictures and enjoy life to the fullest! A dental implant is a titanium post that is surgically affixed to the jawbone, mimicking the natural placement of your missing tooth root. In doing so, the implant re-establishes the tension necessary to trigger the continuous production of new bone cells that are vital to maintaining healthy teeth. Over time, the titanium post will fuse with your existing bone, which further provides a sound base that support a final restoration. By attaching beneath the gumline, the dental implant is in a class of its own. One of the many downsides of living without any number of your teeth, is that it compromises your appearance. Therefore, you may be reluctant to meet new people or even pose for photos. A perk of the dental implant process is that by re-creating the original environment inside your mouth, it leaves you with a realistic-looking smile. 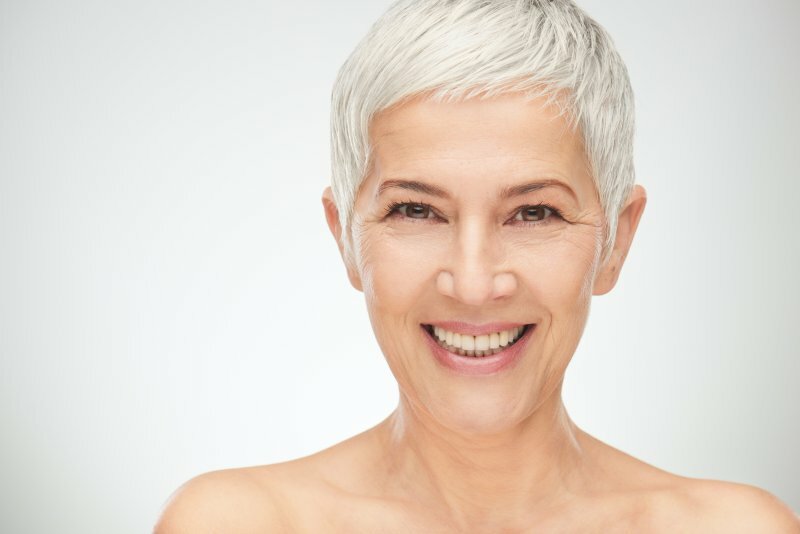 Unlike the traditional denture alternative – that relies on the prosthetic being held in place using dental adhesive and suction – dental implants create a natural-looking appearance by attaching at the jawbone level. The dental implant process can take up to six months to complete the different steps and to allow you enough time to heal along the way. That means that if you seek treatment now, by the time summer gets here and you’re preparing to go on vacation, you can experience the confidence that comes along with having a beautiful set of teeth, and you’ll be able to eat all the foods you love! Once these preliminary steps are completed, your dentist in West Palm Beach will lead you down the path to being fully restored with the smile of your dreams! Dr. Mihran Asinmaz earned his dental degree from Nova Southeastern University. Throughout his career, he has remained eager to expand his knowledge; thus, he has maintained professional affiliation with such organizations as the International Congress of Implantologists and the American Academy of General Dentistry. Dr. Asinmaz helps patients regain healthy and happy lives by placing dental implants at his private practice, and he can be reached for more information through his website.